The present paper reviews the conceptual framework and development of the Bayesian Maximum Entropy (BME) approach. BME has been considered as a significant breakthrough and contribution to applied stochastics by introducing an improved, knowledge-based modeling framework for spatial and spatiotemporal information. In this work, one objective is the overview of distinct BME features. 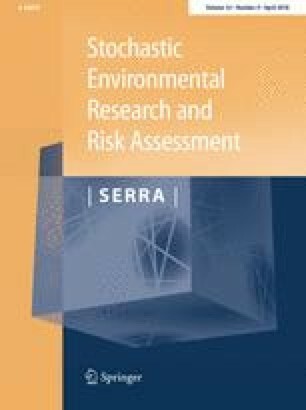 By offering a foundation free of restrictive assumptions that limit comparable techniques, an ability to integrate a variety of prior knowledge bases, and rigorous accounting for both exact and uncertain data, the BME approach was coined as introducing modern spatiotemporal geostatistics. A second objective is to illustrate BME applications and adoption within numerous different scientific disciplines. We summarize examples and real-world studies that encompass the perspective of science of the total environment, including atmosphere, lithosphere, hydrosphere, and ecosphere, while also noting applications that extend beyond these fields. The broad-ranging application track suggests BME as an established, valuable tool for predictive spatial and space–time analysis and mapping. This review concludes with the present status of BME, and tentative paths for future methodological research, enhancements, and extensions. The work was supported by the National Natural Science Foundation of China (No. 529105-N11701ZJ). Alexander Kolovos received no funding.